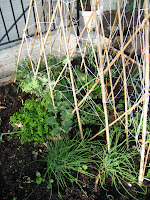 Kale, Chard, and Spinach were our brave survivors this winter, and they won’t be beat by the unseasonable heat this Spring. What to do with them? Quick! Eat them fast before they bolt! While the 90 degree days kept us indoors in the middle of the day, the 70 degree evenings demanded attention from Grill Master Marc. While greens aren’t the first thing you think of when you fire up the grill, they are a key ingredient in the most refreshing side-dishes. On record heat day #1, we grilled honey-fennel marinated chicken, with potato, green bean, and greens salad. 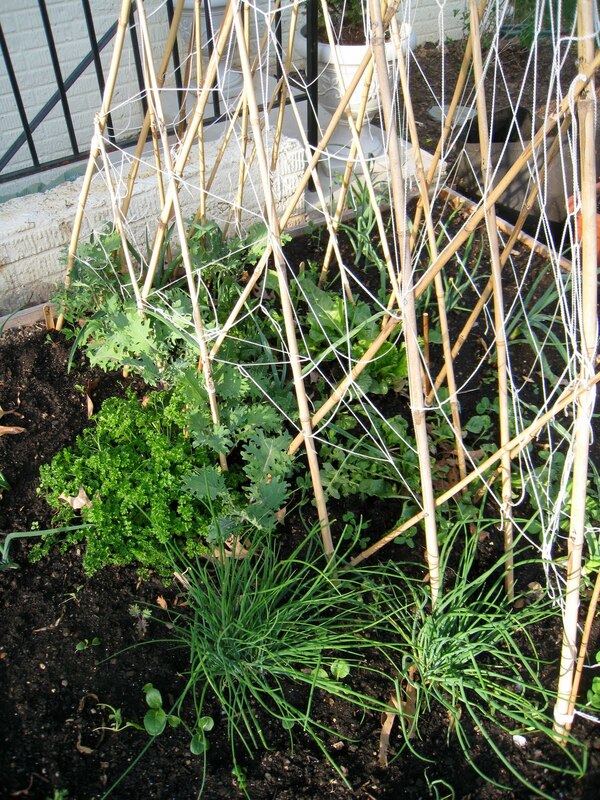 (We hope to have the full array of ingredients for this salad growing in our garden in a few months). For heat wave take-two, we fired up a pizza on the grill, topped with - you guessed it - spinach - garlic, tomatoes, and feta. Despite the impending storm and slightly cooler day 3, we pulled out the farmer’s market grass-fed rib-eyes, accompanied by sauteed kale and garlic. My three-year-old gourmand noted that the greens “give a little kick” to the steak. Now that’s a successful meal! coat chicken in marinade and allow to rest in refrigerator for at least 30 minutes. Boil potatoes for about 20 minutes, until soft. Using a steamer, add the green beans on top and boil until just tender, 2 to 3 minutes. Drain and rinse under cold water. In a large bowl, whisk 6 tablespoons of olive oil with 2 tablespoons of the vinegar and mustard. Season with salt and pepper. Crush the garlic and dice the red onion. Halve or quarter the potatoes. Add them to the vinaigrette with the onion, capers and any garlic and toss gently. Add the greens and green beans, toss again and serve. 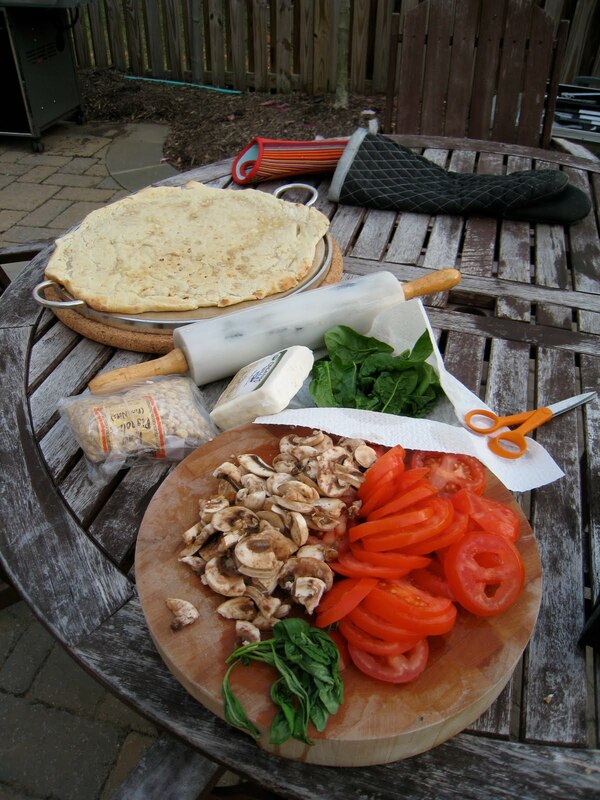 Using a bread machine , prepare semolina pizza dough . 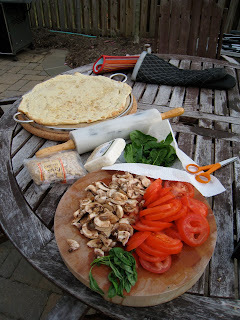 Or, purchase fresh pizza dough from a store such as Wegmans or Trader Joe’s. Arrange ingredients, with cheese sprinkled on top. Roast for an additional 12 minutes, or until golden brown.